Every time you make the changes to the zone file, you need to change the serial before reloading the bind. 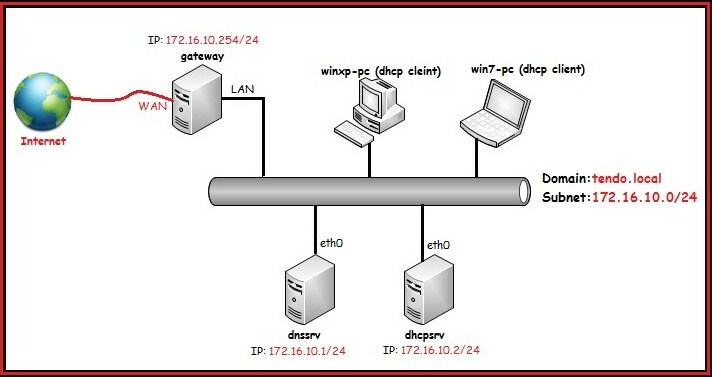 DHCP server successfully add the client to the forward and reverse zone. DNS server accept the secret key and update it’s forward and reverse zone. Check to make sure that permissions on the given file are correct. Configuration files must be readable by the bind user, and zone/journal files must be writable by the bind user. It is possible that Ubuntu’s AppArmor is getting in the way of the zone updates. Make sure you check /var/log/syslog for related messages. Also check the AppArmor configuration at /etc/apparmor.d/usr.sbin.named. The hostname that a client is requesting is invalid for use in a FQDN. 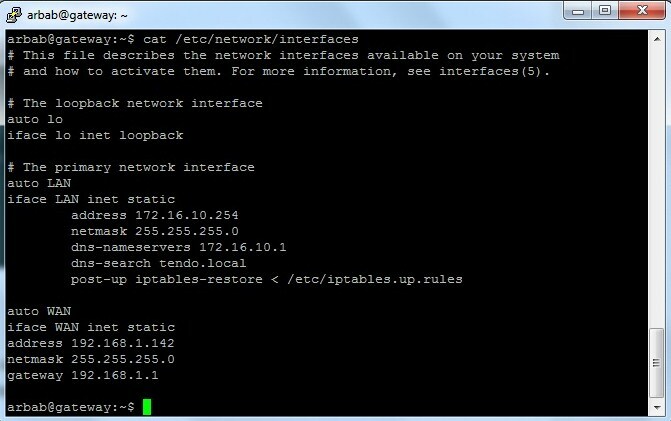 Change the client’s hostname. The zone journal file has gotten out of sync with the zone file (usually occurs with forced restarts, or modifying the zone file while BIND9 is running). 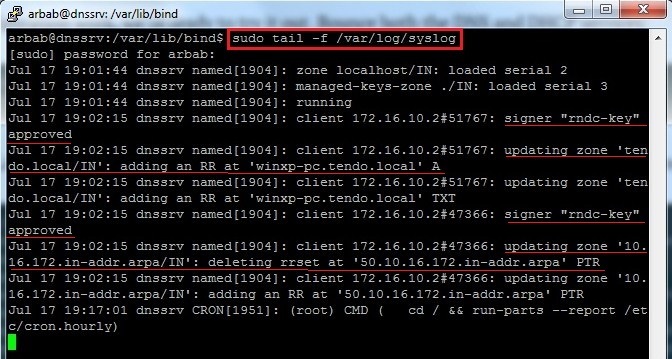 Delete the .jnl file (in/var/lib/bind), and restart BIND9. that’s perfect man! thank you very much, it works like a charm!!! !